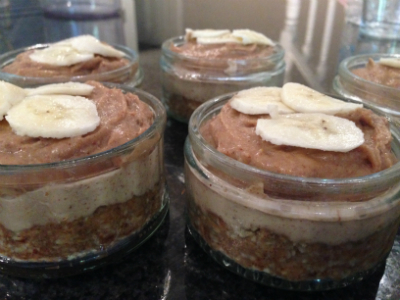 I love Deliciously Ella’s App and have been eyeing up a recipe for grain free raw Banoffee pie for a while. Made using nuts, dates and bananas, I knew I would love it. The recipe is available on Deliciously Ella’s app and on her blog, and needs no baking. 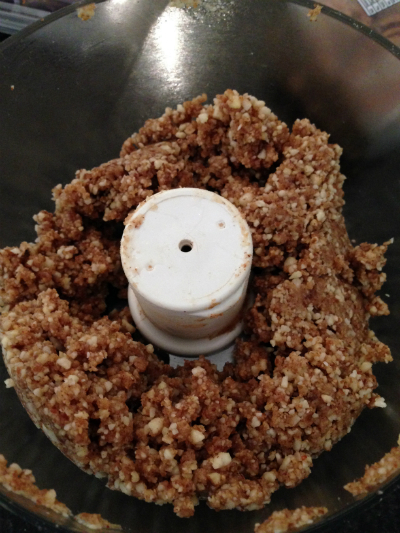 You will need a food processor and some ramekin containers. 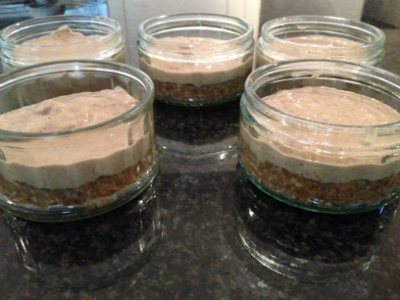 The recipe is for 2 raw banoffee pies but I managed to make 5 small desserts. 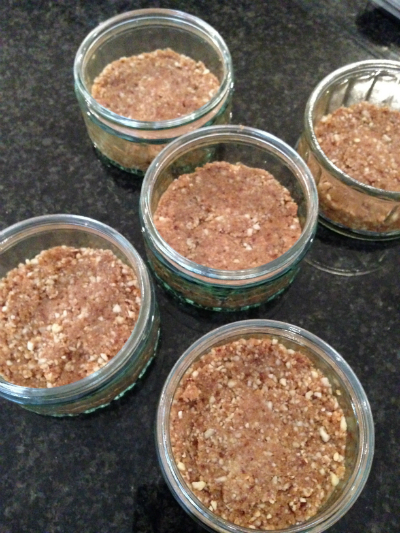 Firstly I put almonds and pecans in my processor, ground it down and added dates and honey. Then processed it again. This makes the best sweet base ever! I pressed this down into my 5 glass ramekins and put in the fridge while I made the next layer. The next layer is really scrummy! 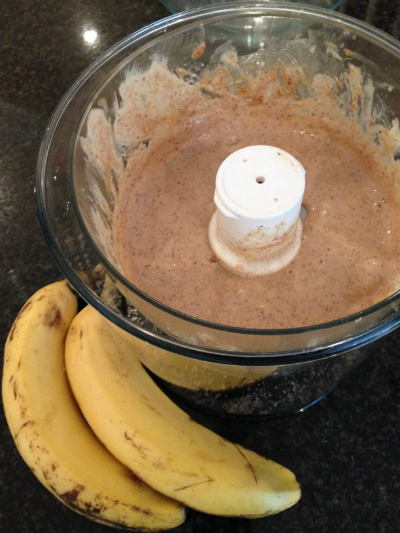 Just banana and almond butter processed together, so easy. I divided this delicious creamy mixture between my glass containers making a second layer. I popped this in the freezer to set. Next I made the top layer. 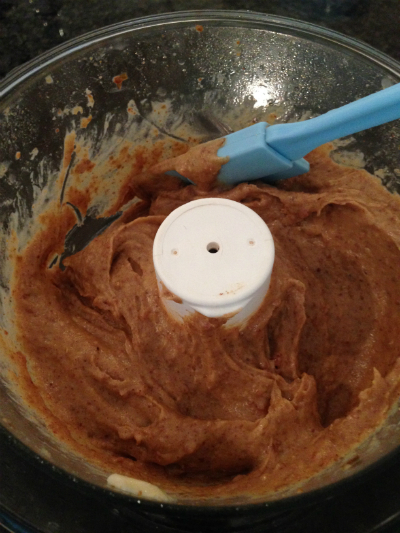 This time, dates , almond butter and banana together in the processor to produce a medium sweet topping. After this I added a layer of thinly sliced banana then spooned the topping on to my banoffee pies. and topped them off with my last remaining slices of banana. It made 5 small puddings perfect for a dinner party or family get together. I will definitely make these again. They were quite popular with the family. 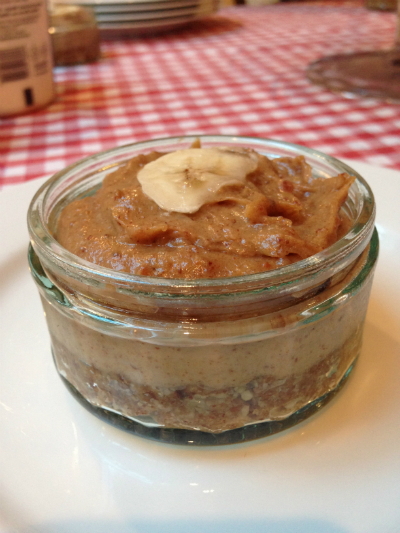 Lovely to find a dairy free, grain free refined sugar free pudding for that special occasion. 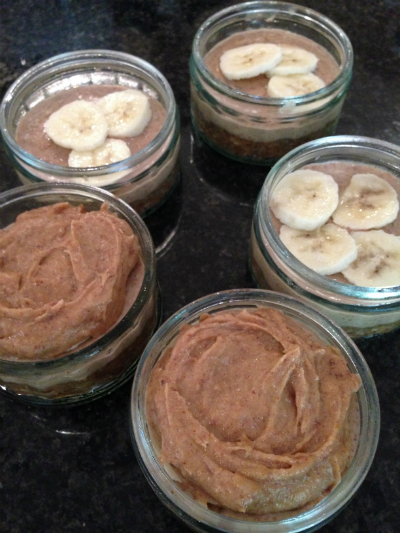 Lots more great recipes on Ella’s blog and app. Ella’s Recipe book coming soon! Cannot wait to see the book and review some of the recipes.